Police arrested a suspect over the weekend accused of harassing a female friend and cutting her father’s arm with a knife. Freddie Raphael Oliveras was arrested Saturday evening on charges of battery, battery with a deadly weapon, battery by strangulation, possession of stolen property, drug paraphernalia, possession of less than one ounce of marijuana and harassment following an incident outside a trailer home in the 600 block of East Street. According to a declaration of arrest in the case, a Nye County Sheriff’s deputy was dispatched to the area for a report of a battery in progress. When he arrived, the female victim reportedly told the officer she had gone to visit Oliveras when he began speaking to her in a demeaning manner. After she said she told him to stop, she said Oliveras told her to leave. As the woman was walking out the door, she claimed Oliveras grabbed the back of her clothing, before putting his hands around her neck and choking her. The woman reportedly told police Oliveras made several threats toward her, including that he was going to kill her and hit her with a rock. After Oliveras had gone back into his trailer, he then allegedly came back out with a baseball bat. The woman said he dropped the bat after seeing her father and another male. A police report said the father then told a deputy after Oliveras dropped the bat he proceeded to allegedly pull out a knife and cut the man’s left forearm. He added after he and Oliveras had separated, Oliveras began walking back toward his trailer saying he was going to get his gun. When the investigating officer located Oliveras, the man allegedly declined to answer the officer’s questions and asked him to instead speak to two witnesses in the area. Both of those people allegedly told the deputy they hadn’t seen anything, but did hear yelling. A search of Oliveras’ trailer allegedly turned up marijuana, drug paraphernalia and property reported stolen in another case filed in Nye County last year. 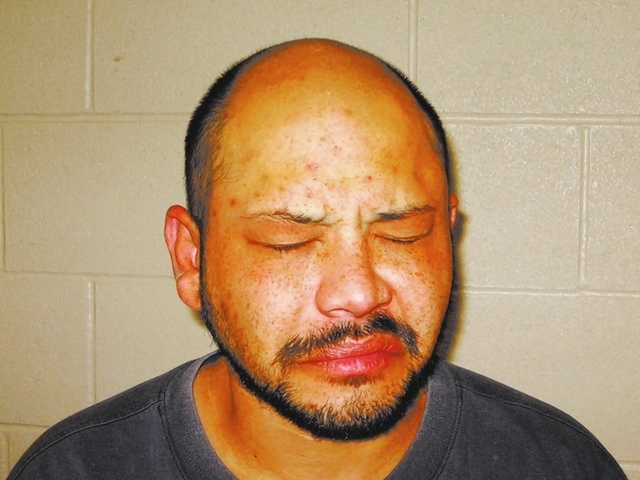 Oliveras was subsequently placed under arrest and transported to the Nye County Detention Center to be booked into custody. 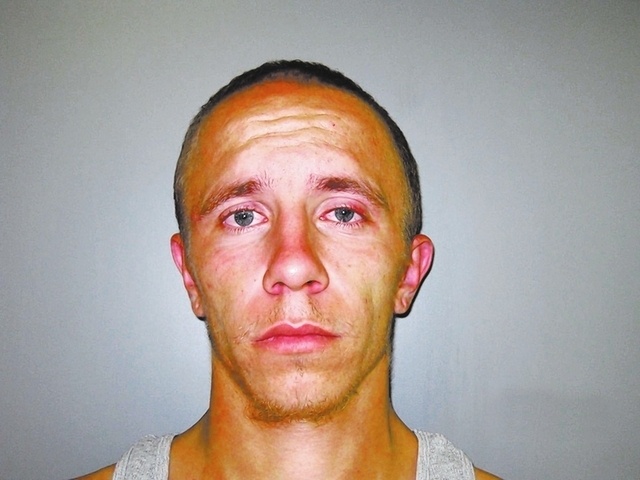 A man charged with burglary and attempted grand larceny was sentenced to a maximum of 14 years in prison for the offenses last week. John Mullins appeared in District Court last Friday morning for sentencing. He was charged in November 2012 with the category B and category D felonies respectively. Before arguments began in the matter, Mullins attempted to delay the proceeding. He told the court he was still working on securing new counsel to represent him at sentencing, a motion the court noted he had submitted two months prior. Judge Kimberly Wanker decided to move forward with sentencing, however, and denied Mullins’ motion for continuance, telling the defendant he had had two months to obtain new counsel and failed to do so. Mullins’ court appointed attorney, Harry Kuehn, then made his arguments for how his client should be sentenced, asking Wanker if she was inclined to give Mullins prison time to run the time on both charges concurrent, meaning Mullins would serve his sentences in both cases at the same time. Deputy District Attorney Patrick Ferguson, however, called Mullins the picture of a habitual criminal, and asked Mullins be given the maximum sentence on each as both offenses were allegedly committed while he was awaiting sentencing in another case. Wanker eventually sided with the state and ordered Mullins to serve 19 to 48 months in prison on the charge of attempted grand larceny and 48 to 120 months in prison on the burglary charge. She then set them to run consecutive to one another, meaning Mullins will have to serve time in one case before he can begin serving time on the other. A man with a bench warrant out for his arrest from the local Justice Court was taken into custody on additional charges of possession of a dangerous weapon and methamphetamine this week when police made contact with him at a home in the 400 block of West Wilson Road. On Monday, two deputies arrived at the residence to locate a man by the name of Xavier McMurtry. When McMurtry answered the door, he was told there was a warrant out for his arrest and taken into custody. 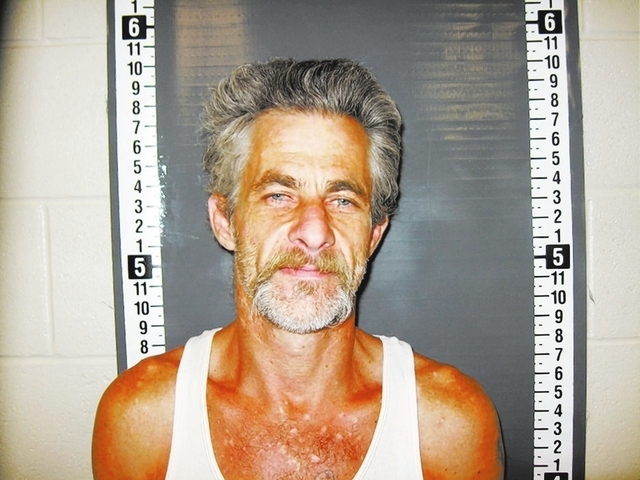 McMurtry then allegedly informed one of the two deputies that he hid narcotics in the home before he answered the door. A search of the residence allegedly turned up two small bags of methamphetamine and drug paraphernalia. A female resident of the home said the items did not belong to her and must belong to McMurtry. When deputies searched McMurtry’s backpack, a metal dagger, which an arrest report noted was considered a dangerous weapon by Nevada Revised Statute, was allegedly discovered in the front pocket. McMurtry was then transported to the local jail where he was booked into custody on the warrant and additional offenses. One man was arrested for allegedly operating a vehicle while under the influence of alcohol last week after medics found him slumped over his steering wheel in the parking lot of the Pahrump Nugget. Monday evening just before 6 p.m. an NCSO deputy was dispatched to 681 S. State Route 160 to assist Pahrump Valley Fire Rescue Services medics. When the officer arrived, medics explained there was a male, later identified as Ronald Slack, slumped over the steering wheel of his running vehicle parked in the parking lot. After they were able to wake him up, the medics allegedly said they believed his condition was due to intoxication. When the deputy asked Slack if he was OK, the man stated he was fine. As they continued talking, the deputy noted the man appeared to be sweating profusely and that an odor of alcohol was coming from his person. The deputy then asked if Slack had anything to drink that evening, to which the man allegedly responded he had a few drinks after he got off work at 5 p.m. Slack was then asked to take a field sobriety test, which he agreed to. Since he was over the age of 60, only two of the standard tests were conducted. He allegedly failed both of them, including a breath test, which allegedly showed he had a blood alcohol level of .115 percent. An arrest report additionally noted while the deputy was trying to get Slack to take the breath test, he was swaying back and forth and had trouble finding the straw to blow into. 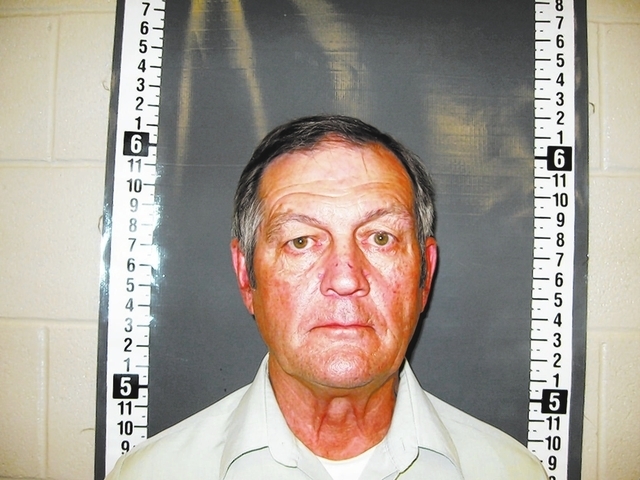 Because he was in control of a running vehicle and over the legal blood alcohol limit to drive, Slack was arrested for DUI and transported to the Nye County Detention Center to be booked into custody.